Redken International – Redken products combine innovative technology and street smart performance. After decades of research into the science of beauty, Redken 5th Avenue NYC is hitting the streets, fusing fashion with science for salon innovations that are turning heads everywhere. Pureology – Pureology offers the finest color care products imaginable. Each luxurious formula is specifically designed to improve the health of color-treated hair, protecting your strands from thermal styling damage and color fade out. Pureology formulas are 100% vegan and sulfate-free. DermOrganic – DermOrganic® is excellent for clients concerned about what they put on their hair and skin, or who are prone to negative reactions from standard hair and skin care ingredients. Deva Curl – Deva Curl products are botanically infused and 100% sulfate free. Deva Curl products help maintain moisture while keeping curls defined and manageable even in the worst weather conditions. 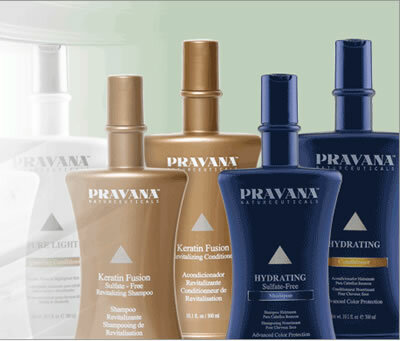 Pravana – Pravana shampoos and conditioners are infused with Naturceutical Complex. This unique complex is comprised of ingredients derived from the latest biochemistry technologies coupled with time-proven Meso-American natural botanicals known for their therapeutic and healing properties. Smart Solutions products are based on plant extracts and oils. 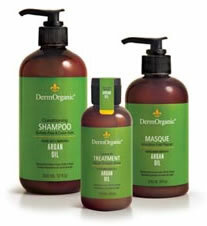 All are potent anti-oxidants that protect the hair from the sun, heat and mechanical damage. These unique products contain aloe, chamomile, sage, rosemary and nettle extracts uniquely blended with jojoba and avocado oils to retain color longer while conditioning the hair. Smart Solutions is sulfate-free and affordable for any budget! 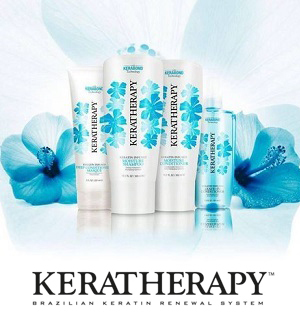 All of Keratherapy’s products are infused with their signature blend of pure keratin and silk amino acids, the aftercare collection and styling products contain natural antioxidants and organic Amazonian fruit extracts that penetrate the cuticle, repair and rejuvenate. The results: healthy, luxurious, contagious results. Our hair care professionals will be happy to recommend products and customize a regime that will best fit your unique needs. Following a professionally recommended hair care regime will ensure that your hairstyle retains that salon fresh look and feel. If for any reason you are not satisfied with the performance of any product you have purchased, you may return it to the salon for a complete refund or exchange. Styling tools may be returned six months from the date of purchase. After six months you will need to refer to the manufacturer’s warranty. Brushes and hairpieces are not returnable unless defective.